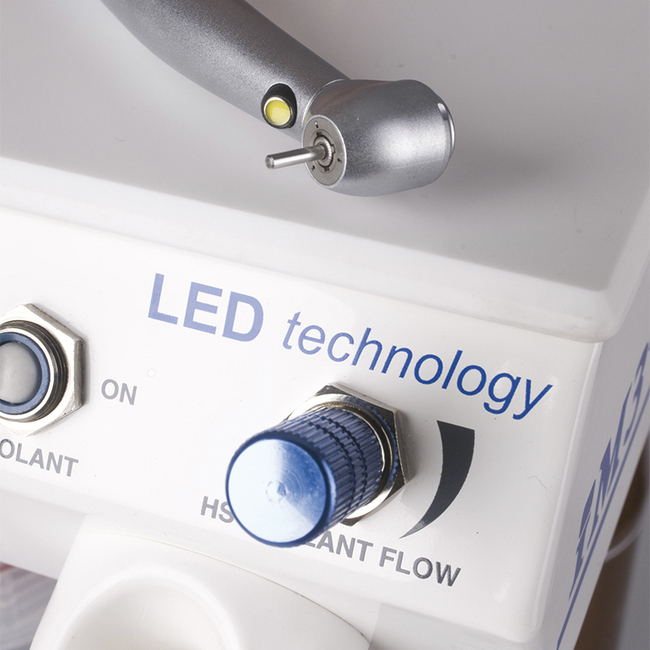 The GS Deluxe LED is a complete dental system with advanced features not found on any other dental machine. The industry’s first self-generating LED light high speed swivel handpiece removes the need for troublesome fibre optic wiring, expensive krypton bulbs, switches and transformer. The low speed handpiece and nose cone swivels for comfort and reduces the strain on the hand. The GS Deluxe is fitted with two coolant bottles, one for the CLS solution and the other for water. 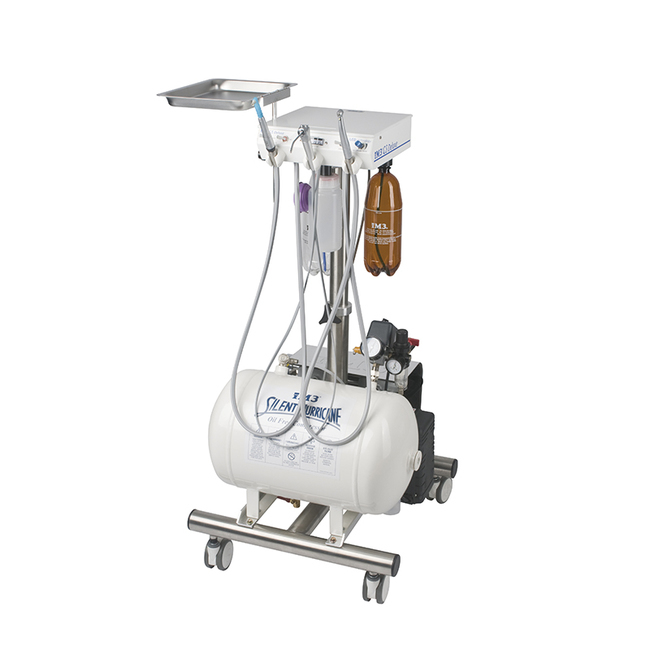 The use of CLS in the dental machine allows easy application of chlorhexidine into the mouth during dental procedures. Maintenance instructions are printed on the back of the machine right where you need them.